Practitioners and therapists trained and certified in animal rehabilitation come from a variety of disciplines. They can include veterinarians, veterinary technicians, physical therapists, physical therapy assistants, occupational therapists, nurses and massage therapists. They have attended the nation’s top rehab training programs, which are listed below. Check out the schools' websites for more information. The Canine Rehabilitation Institute provides veterinary professionals with the premier education in canine rehabilitation available worldwide. We have top-notch instructors and small classes, with dogs on site providing real-life lessons. The Canine Rehabilitation Therapist (CCRT) is for veterinarians and physical therapists. The Canine Rehabilitation Assistant (CCRA) is for veterinary technicians. We are proud to have certified more than 950 veterinary professionals since 2003. 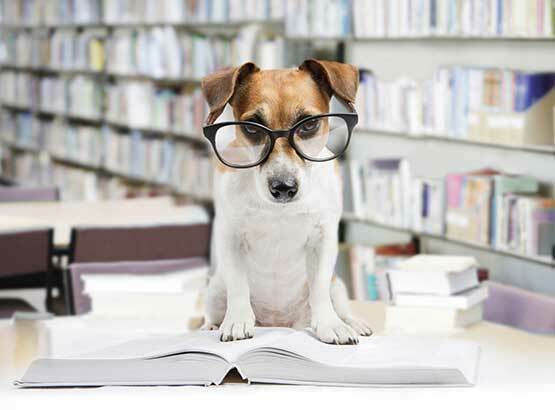 CRI also offers continuing education courses on topics such as canine sports medicine, pain management, canine nutrition, geriatrics, and orthotics and prosthetics. Courses are offered in Florida, Colorado, and other locations. The Veterinary Massage and Rehabilitation Therapy Program (VMRT) offered at the Healing Oasis Wellness Center is a post-graduate professional certification program for licensed health care professionals. The school is accredited under the US Dept. of Education and all post graduate certification programs have been approved by the Wisconsin Educational Approval Board, among other national medical organizations (Veterans Affairs Office, CoAC, AVCA, among others). The 142 hours of supervised training is divided into four (4) modules that meet every 4-6 weeks. The curriculum can be found within the school catalog in our website (www.healingoasis.edu). Veterinary Massage and Rehabilitation Therapy is a crucial health care modality that requires advanced knowledge in anatomy, neurology, functional neuro-anatomy, biomechanics, and an understanding of the what, when, where, and how therapeutic machines work and can be utilized are among some of the topics to be covered during the modules. Ample hands on is also provided during every module. This award-winning program is designed and taught by board certified professionals widely published in the field of Canine Rehabilitation and each holding doctorates in their respective fields. UT’s animal rehabilitation hospital is the largest facility of its kind due to the recent expansion of the equine rehab unit. Follow the link below to learn how you can get started in the fast growing field of small and large animal rehabilitation.